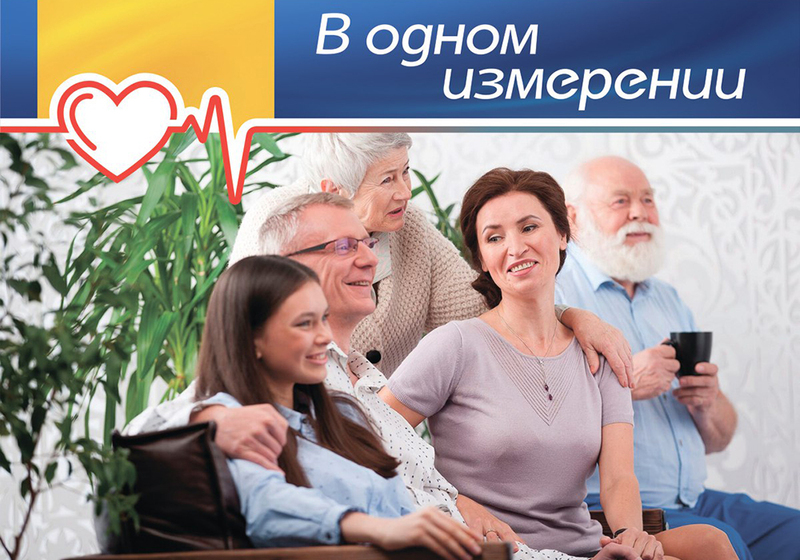 «One measurement» - ООО "Актив Лайф Технолоджи"
We, in Microlife, have launched the social initiative One measurement – supported by the Ministry of Health of the Republic of Belarus and the portal Zdorovye lyudi – which is aimed to draw people’s attention to myocardial infarction and blood-stroke. The project focuses mainly on highlighting issues concerning blood-stoke and heart attack – widespread causes of death. It has become important to tell people how to measure the blood pressure, how to prevent and recognize the disease as well as how to help the affected person. The social initiative One measurement is to be held for 6 months across all the regions of the country. The major TV-channels are to be broadcasting video stories of famous Belarusian people who have been affected by heart attack or blood-stroke. Many stories will be revealed to the broad public for the first time. The project has engaged: the businessman and the founder of TUT.BY Yurij Zisser; the gymnast Melitina Stanyuta; singer Аnastasiya Tikhanovich; the singer and anchorman Georgij Koldun; the record producer Maks Аlejnikov; the showman and anchorman Аndrej Bond; the winner of the ONT-sponsored project My business, the founder of the blood-stroke/heart-attack-focused portal cardio.today Dmitrij Bolashev. The initiative also offers workshops engaging doctors. We are going to test the new generation tonometer with the AFIB technology ensuring 98 per cent precision in recognizing ciliary arrhythmia – one of the main factors causing blood-stroke. Once in six seconds there is a man who dies of blood-stroke – disease that is known among doctors as “the 21st century epidemic” . Everybody can prevent oneself from this terrible disease. We want to help everybody in it!